Terrorist Attack Counter Death is anactionFirst Person Shooting war Game. You are the brave assassin inthearmy, aim to shoot the terrorists who mask, arm AK47, M4 ,andcarrydestructive weapons.Aim at the opponent's vital part to shoot,sothat those ferocious terrorists nowhere to escape. You needtomaster in practice a variety of targeted gun shots,excellentprecision target training will help in the frontiershooting warbetter eliminate terrorist organizations.You can carrya variety ofweapons, like AK47, M4A1, machine guns, shotguns,snipers, MP5,handguns, medical kits. Travel deep into enemy controlzones, swat& kill terrorists, and keep in mind, your missionduringanti-terrorist action in different places only for shootingtoterrorist organizations.Open the lens, zoom and identifythetarget, locate, aim ,inhale, pull the trigger,shooting,kill.Terrorist Attack Counter Death Features:• First Person Shooting Action Game,• Critical three different missions Mode, levels, custom andbombdisposal modes,• Complex situation,snow, desert, Arabian towns andhigh-risebuildings and cross firing.• Rich weapons, rifles, snipers, pistols, medical kits• Realistic combat environment, Amazing 3D graphics,immersiveexperience• As anti-terrorist assassin, rescue hostages, clear bombsandeliminate terrorist organizationsHow to play:• Equip weapons, Choose mode, and Choose mission.• Shoot button to shoot, Jump button to jump up, squatbutton,switch weapons button, reload clip button.• Searching for targets based on radar instructions;completingcounter terrorism missions within a specified period oftime.• Close to the explosive package, in the range of 1 m begantodefuse bomb, keep 3 seconds bomb can be removed. With 20 millions of downloads worldwide Real Drift Car Racing isthe most realistic drift racing game on mobile devices, and yeteasy to control and fun to play thanks to an innovative drifthelper. Get ready to drive high performance cars (turbo ornaturally aspirated) and make them drift at high speed in tracksdesigned specifically for drift racing. 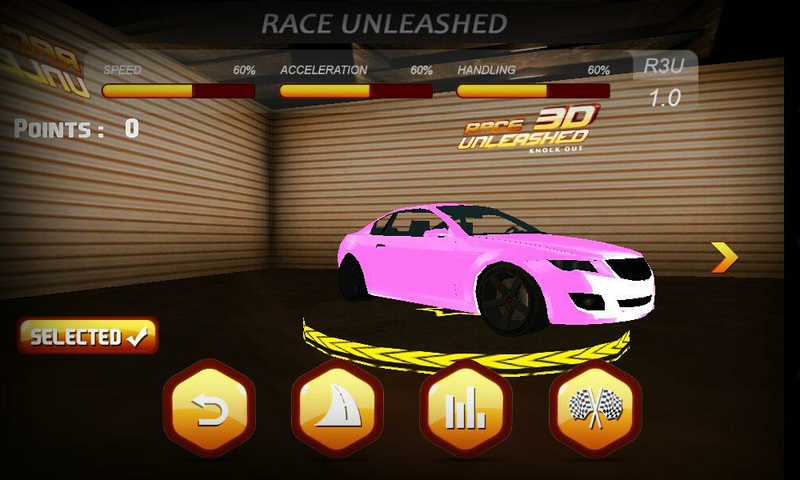 Improve your racing anddrifting skills and earn virtual money to tune and customize yourcar. Race to battle the world record of the leaderboard or just forfun in the freeride mode. FEATURES • The most realistic driftracing game on mobile devices; • Customizable difficulty: fromtotal novice to professional drifter; • Extensive customizationoptions: change body color, body vinyl, rims model, rims color andtire signature; • Extensive tuning options: increase engine power,add a turbo, change handling settings (weight distribution, camberangle etc. ), change gear ratios and shift speed; • Photo mode toshare your coolest drifts with your friends; • Realistic simulationof all aspect (engine, drivetrain, tires, etc.) of the car; •Specific engine sound for every car with turbo whistle and blow offvalve; • Backfire effects with sounds; • Accurate pointscalculation: earn points by drifting at high speed, at high driftangle and, by light touching walls during a drift; • Online andlocal leaderboard to challenge your friends and people all over theworld; • Big training track to improve your drifting and racingskills; • Cool dubstep soundtrack by Liquid Stranger and SimplifyRecordings. • Optimized for Intel x86 mobile devices. FEATURES ONLYIN THE FULL VERSION • No adverts; • 11 new drift racing tracks; •12 new powerful cars with specific and realistic setup; • Newchallenging career mode with 36 championships with growingdifficulty; • All tuning options unlocked. GAMEPLAY • Accelerometer(gyroscope) or touch steering mode; • Slider or touch throttle; •Automatic or manual transmission; • Metric or Imperial units ofmeasurement; ADVANCED POINTS SYSTEM Points grow proportionally todrift angle, drift time and speed. There are also 2 differentpoints multiplier: "Drift Combo" multiplier and "Proximity"multiplier. Drift Combo multiplier is increased by 1 wheneverpoints reach a power of 2000 (1000, 2000,4000, 8000 etc.). If youchange drift direction, points are added to Total Points Indicator(located in the top left of the screen) and reset. If points reachevery multiple of 2000 again, Drift Combo is increased by 1 again.This works only if you keep drifting without too long interruptionsbetween one drift and the other (less than 1 second), otherwiseDrift Combo multiplier will be reset to 1. Proximity multiplier isincreased when you drift with the back of the car near a wall (lessthan 1.5 meters) proportionally to closeness. You'll notice thisbonus with a slow motion effect and a text showing the multiplierfactor. If you hit anything you'll lose your partial points and allmultipliers. PERMISSIONS REQUIRED Location • precise location (GPSand network-based) Used to locate player nationality (shown in theleaderboard). Photos/Media/Files • modify or delete the contents ofyour USB storage • test access to protected storage Used to saveplayer profile data. Wi-Fi connection information • view Wi-Ficonnections Used to send player scores to leaderboard server. Wewill update and improve Real Drift constantly. Please rate and giveyour feedback for further improvement of the game. FOLLOW UShttp://www.facebook.com/pages/Real-Drift/788082697884714 PS: if youexperience crashes during app loading, please note that 90% of thetimes this is due to low free memory (RAM, not disk space). Tryrestarting your device. if the problem persists, try stopping somebackground process. Petrol-heads, motor-heads, turn to Top Drives, the high octanedriving challenge - test your skills and knowledge to the limit.Think you know cars? Top Drives is a fantastic new card collectinggame with over 800 real life cars to collect, compare and competein racing battles with other players. Build a garage of the bestcustomized cars and create your very own perfect racing deck forsupercharged action against your friends or other drivers. Whetheryou prefer a tuned up American muscle, a feisty Japanese hot rod orgo turbo with European and agile, you’ll find a car that gets yourmotor running in Top Drives - the #1 FREE car racing cardcollection game. Top Drives is about racing cars across a varietyof roads, tracks and challenges. If you like your driving fast andfurious, you’ll love Top Drives. Hit the gas on asphalt circuits,slide your wheels around twisty circuits, master drifting in the GForce tests or speed to the chequered flag in a 1-100mph drag race.Choose Mustang, Camaro, Porsche Turbo, Audi TT or Nissan GTR, justmake sure you’ve got the right car for the right track. You’ll needa garage of cars fast in the wet, good off-road, can take cornersand burn rubber for drag races. Why is Top Drives the ultimatemotorsport experience for every car enthusiast? Features: - Buildthe perfect car racing deck from over 800 officially licensed cars- Marques such as McLaren, Bugatti, Pagani, Porsche, Mercedes,Audi, Mustang and many more - Real car stats sourced from Evo makesthis the ultimate bench racing game - Unleash your cars on 100s ofracing track challenges with our all-new Card Racing System -Manage, upgrade and tune your stock cars – be the best motorsportmanager - Compete against your friends in thrilling scenariosincluding drag strips, race circuits & hill climbs - Competeagainst rivals to win exclusive cars in live multiplayer events -Weather effects and multiple surface types, including dirt tracks,asphalt and snow - Stunning car photography from one of the world’stop car magazines - Turbocharged, addictive, fun racing strategygameplay Own the road, start collecting the coolest new rides,customize with upgrades then sell on your tuned- up cars to buildthe perfect garage! Top Drives has fast single player campaigns andmultiplayer mayhem modes with speed battles to the chequered flag.Top Drives is a combination of strategic card collecting with amotor-head racing theme! Get an edge by fusing your cars and pushyour hot wheels to the limit. Become driving champion with the bestcombination of performance, handling and grip. Start your engine.Hit the road with Top Drives and unleash exciting updates, take tothe track with the coolest, fastest cars including Porsche, McLarenand Mustang, plus enjoy new game modes and new events themed aroundglobal car culture. So, buckle up, stop dreaming and start driving.Download Top Drives today and let them eat your dust. Let us knowwhat you want to see in the game: www.hutchgames.com Our PrivacyPolicy: http://www.hutchgames.com/privacy/ Our Terms of Service:http://www.hutchgames.com/terms-of-service/ Top Drives is FREE toplay but offers some optional in-game items that can be purchasedfor real money. Top Drives is an online game and requires apersistent internet connection to play. There is no flat road in our game, the road which we have isruggedmountain roads. 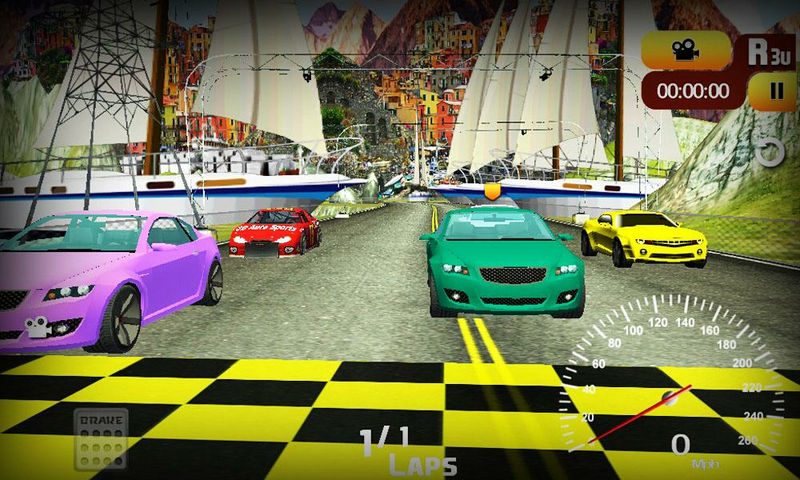 Come and start your car racing show!This isaclassic drift game, which is simple and quick to play. Inaddition,it is easy to operate the vehicle to complete a perfectdrift!Ifyou are a huge fan of wilding dirt drift, then Car Racing:DirtDrifting must be your best choice!Game Features★ Moregameplay:There are 3 different game modes: Survival mode, Arenamode,Time trial mode, and each mode has 2 different maps. Thereisalways one suit for you. Survival mode: You need to reach thenexttiming point within a limited time to be able to continue thegame.Finally, you will be rewarded based on the number of milesyoufinish. Arena mode: You need to arrive at the checkpoint withinthespecified time. Checkpoints will appear on the map randomly.Onlyone point will be collected before the next one willappear.Finally, the number of checkpoints will be rewarded. Timetrialmode: At the end of the first lap game, you will leave ashadow,and that is your own performance, you need to defeatyourself inthe second lap in order to win.★ More Rally Car: 8powerful rallycars. Each car has different types: drifting type,speeding type,strong type, torque and so on. You can choose the caraccording toyour needs. In addition, the car you choose will havedifferenteffects in different maps;★ Realistic 3D images: Eight newrallycars built with new 3D technology are waiting for yourarrival. Sixclassic mountain cars, perfectly integrate the Gobidesert,grassland, highways, and ruins together to form a perfectexoticstyle map!★ No need to play online, play at any time: Thereis noWiFi limit. You can play this game in anytime and anywhere, astheultimate fancier of rally car, how can the Internet becomeanobstacle, which means all our game modes and maps can beplayedoffline!It's time to leave your drift on the road!Come anddrive apowerful rally car!